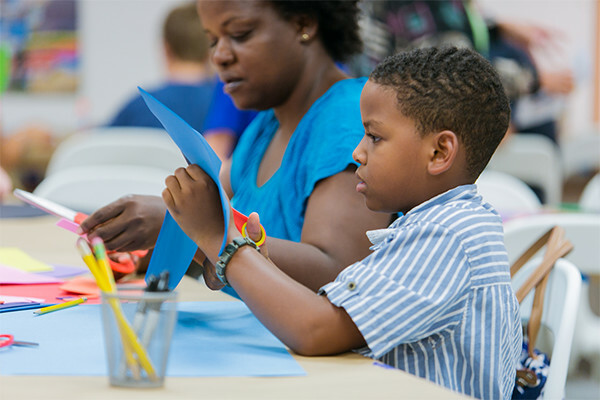 About: Norton Museum of Art educators Yimarie Rivera, associate curator of education, and Mariela Acuna, outreach and family programs coordinator, will lead the dynamic hands-on workshop. Yimarie, an educator at the Norton for over three years, currently focuses on building deeper connections with youth and families in Palm Beach County by developing programs in and out of the museum that invite our diverse community to explore the visual arts. Mariela teaches a weekly family-oriented class consisting of a multigenerational tour and hands-on art workshop, called Family Studio. She also represents the museum at monthly community events with the goal of reaching a diverse audience. Both are passionate about sharing their knowledge of art and art making with diverse family audiences in the museum and beyond!